A great book! 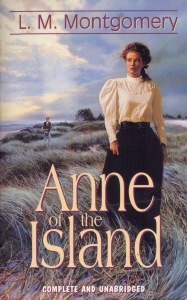 This book takes place while Anne is in Redmond at college and when Gilbert gets sick... technically most of the Anne of Avonlea movie, but without the Pringles which are technically in Anne of Windy Popplers... they just made it more interesting for the maxi series. We have all been really into the stories this month. Anne becomes a woman in this book. While she is at college living in the Patty's Place house with her girlfriends she starts dating men, has tiffs with girlfriends, and has school ups and downs. It is a great book to read for just a good laugh, a good cry, a good friendship and love book.